Situated high in the Sierra Nevada - the resort is at 2100m with skiing up to 3398m. It is the most southerly resort in Europe and prey unique. From the top of Veleta at 3398m there are wonderful vies over the Mediterranean and on a clear day over to Africa! Malaga airport is 80 miles away which makes Sierra Nevada a perfect short break or two centre holiday - why not had a couple of days exploring Granada - the beautiful Andalusian town at the foot of the mountains, or on the beach and a few days skiing? Pradollano is the main base. 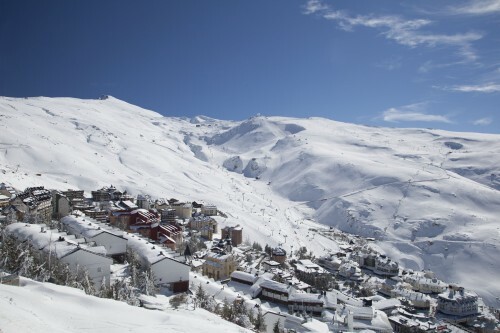 Situated at 2100m it vies to be one of the highest resorts in Europe. Pradollano is a stylish modern village - similar to resorts in Colorado - car free with plenty of shops, bars and restaurants. All our accommodation is situated very close to the main gondola lift. 2 gondolas rise up out of the village to the mid station at Borreguiles. On the right a chairlift accesses a fabulous beginners area - Alfombra Magica while the left hand chair lift accesses the top of the main village. Sierra Nevada means 'Snowy Mountain Range' even though you can see Africa from the top slopes, the resort has a long ski season - generally opening in November and runs through to the first week in May. The resort is at 2100m which is one of the highest in Europe with skiing up to 3398m. Due to the high altitude all the skiing is above the treeline and while the resort boasts of 300 days of sun, when it does snow it is better to stay between the main village and mid-station or just sit it out in one of the many tapas bars in the central plaza! Sierra Nevada is an ideal place to learn to ski, wide open beginners area and British ski instructors from The British Ski Centre all help to make learning to ski a quick, fun and painless exercise!! After a couple of days beginner skiers will soon find the confidence to tackle some of the long wide blue runs accessed by easy chairlifts. By the end of the week they will have ticked off all 18 green runs and the 42 blue runs perhaps even tackling some of the 'easier' red pistes. With a 1200m vertical and 105kms of marked piste spread over the Veteta mountain, Sierra Nevada is an ideal intermediate ski area. There are over 120 pistes to have a crack at including 53 red runs. From the mid station take the Valeta Chair to warm up on the fast sweeping blues back to Borreguiles. Then head over to Laguna de las Yeguas - from the top of the Laguna chair pause for a minute to take in the views over the Mediterranean and see if you can spot Africa! 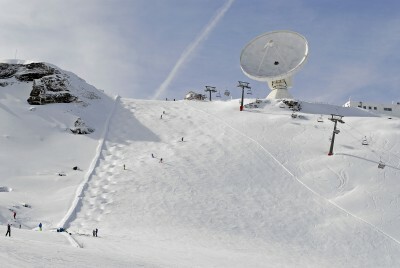 Then how about the Aguila piste which drops 1200m over 6.25 kms back to the main bubble lift at Pradollano. Fabulous for a few days - a cheeky weekend or for mixing some skiing with a city or beach break. The big vertical drop, wide open pistes and acres of off piste to explore make Sierra Nevada an interesting and cost effective alternative to the Alps. There are 7 black runs, a couple can get very bumpy. While not the largest most demanding ski area, Sierra Nevada has enough scope to keep adventurous skiers happy for 3 or 4 days. The British Ski Centre have highly qualified British instructors. They offer small group lessons - no more than 6 per group unless in the main holiday periods when group sizes can increase to 10 as well as private lessons. 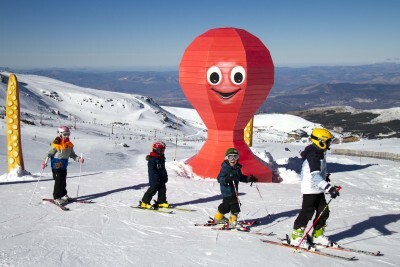 Flights into Granada - just 30kms away - perhaps the quickest ski transfer. Or fly into Malaga which is 80 miles away. The transfer from Malaga takes under 2 hours.